This past week was a doozie. 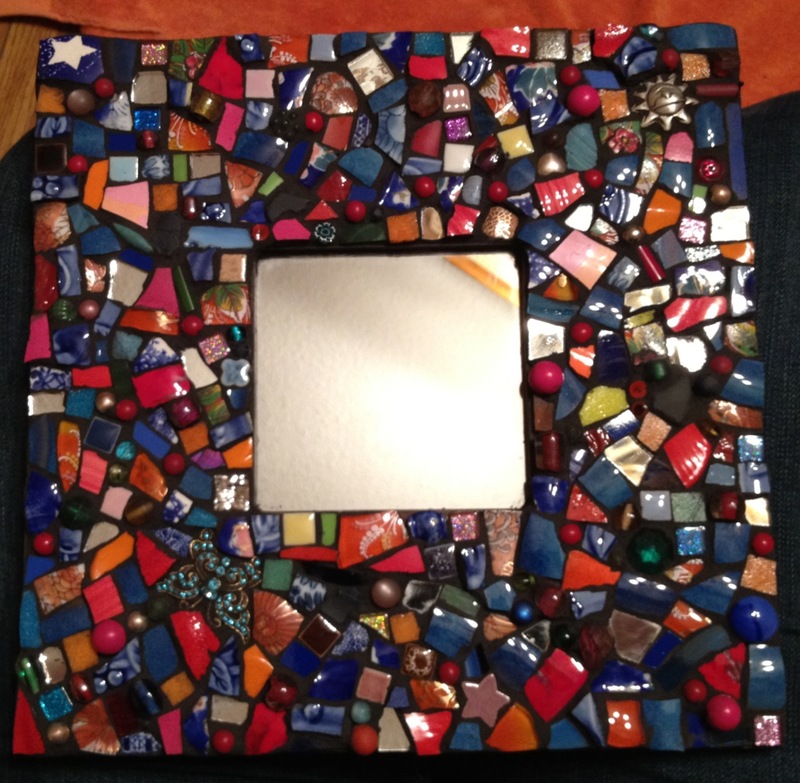 I got hit with food poisoning and that cramped my style a bit, but not before I got some serious grouting done! 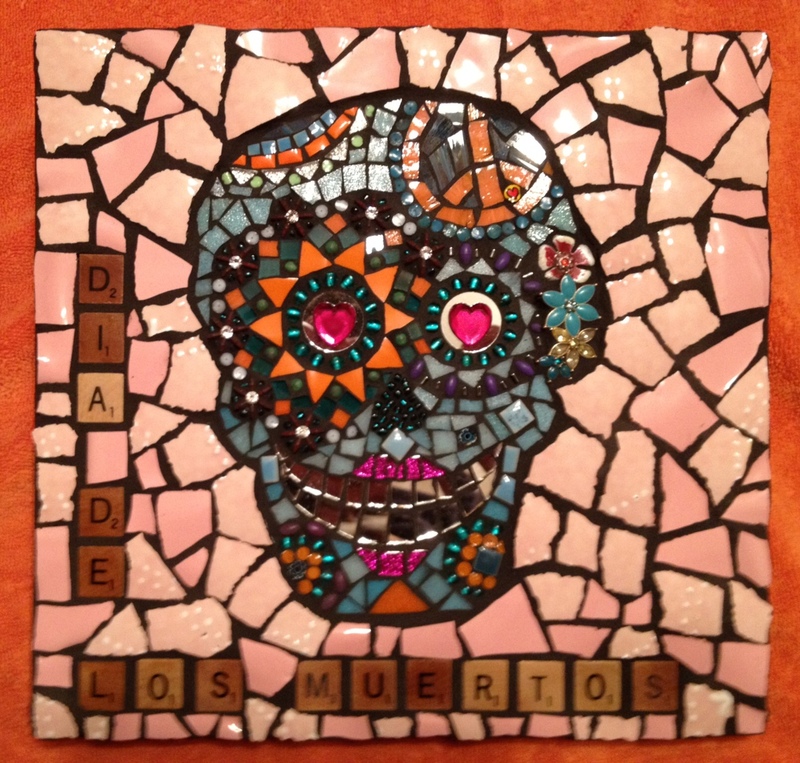 So this week’s update will show you all of my grouting efforts. 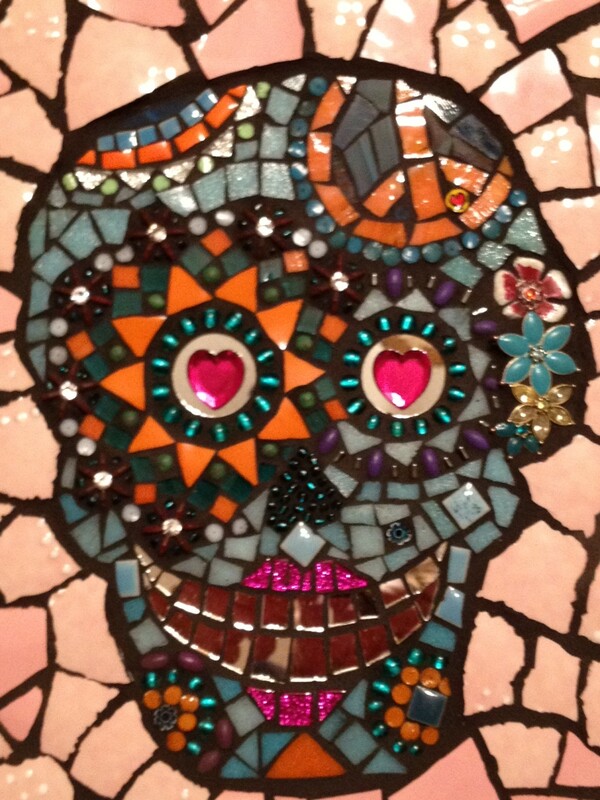 Remember my sugar skull? Started and completed sometime around Halloween? 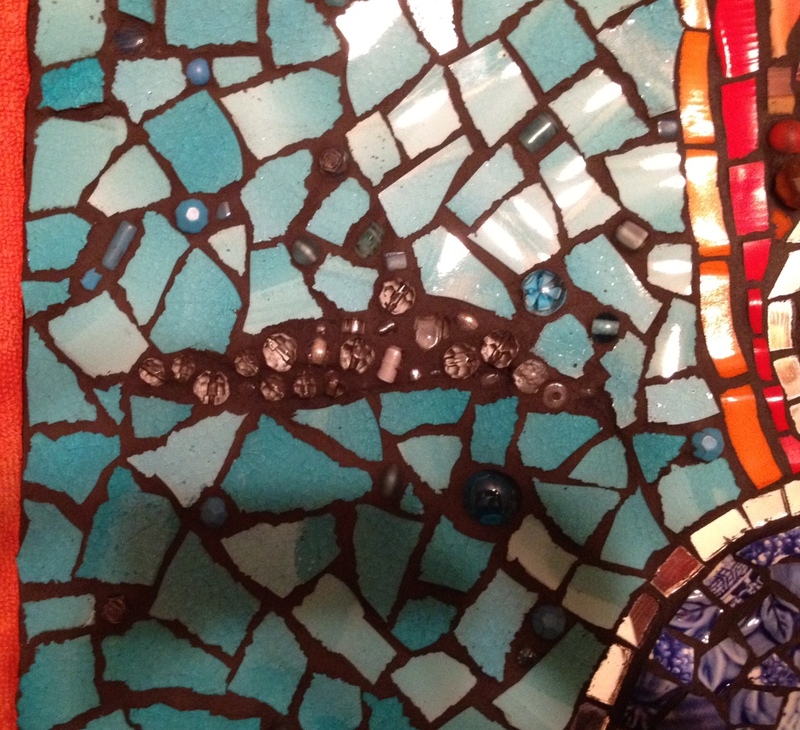 The photo makes the tiles on the bottom of the piece a little blurry, but they are actually perfectly clear in real life. 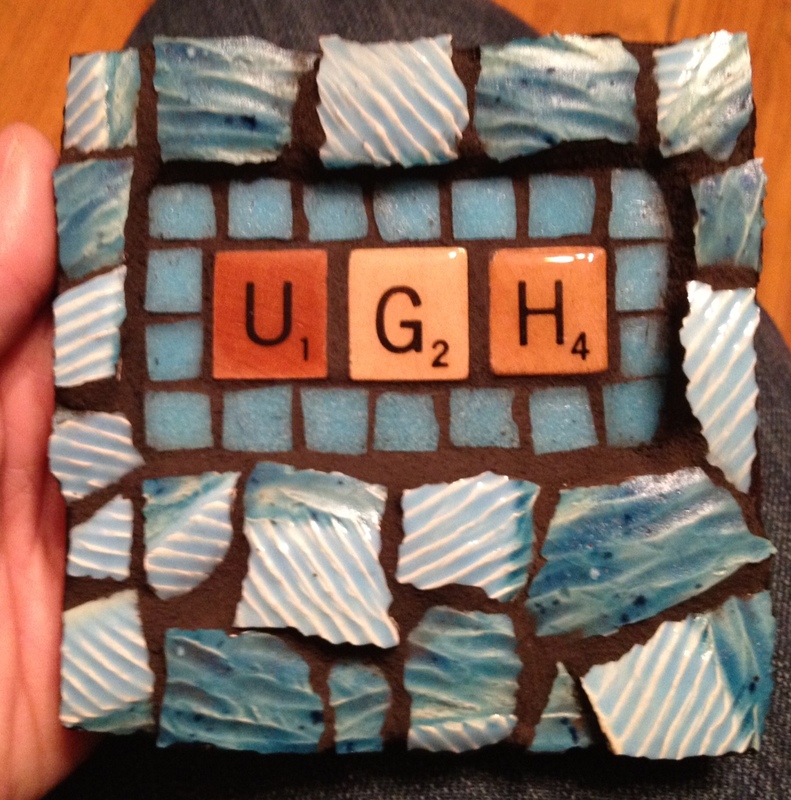 One more coat of resin to the Scrabble tiles and then it will be ready to hang on the wall! 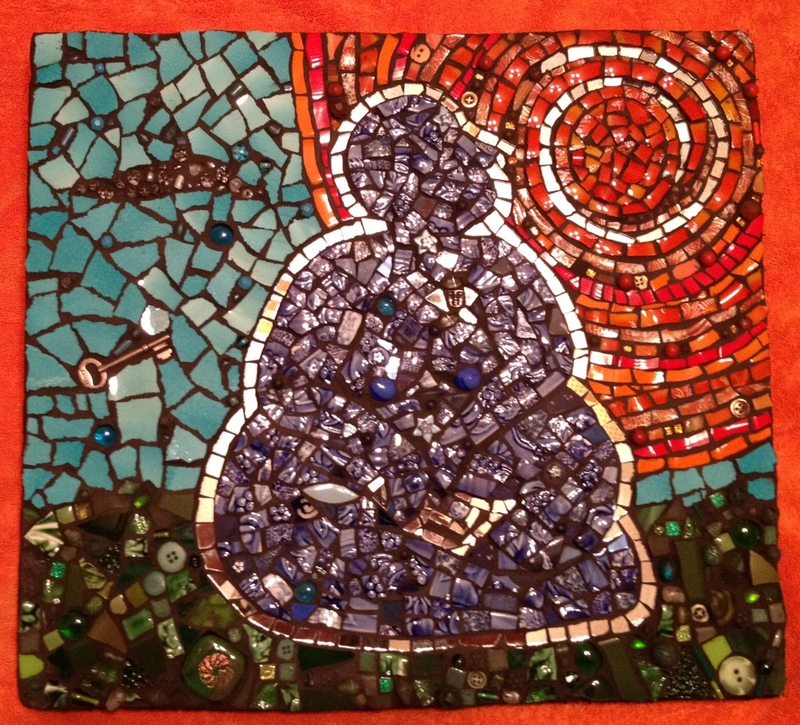 Okay, next up is a piece that I originally called “Pondering” I think but I’ve had two people saw the form in the picture reminded them of Buddha. Hmmm. Not my intention, but interesting observation. Looking for a good title for this piece–I’m taking suggestions! The little cloud looks rather stormy in the big picture, so here’s a close up–it’s actually a friendly little cloud! This little guy is 4″x4″ and is just screaming to be put on someone’s desk somewhere in the great big Corporate Machine. 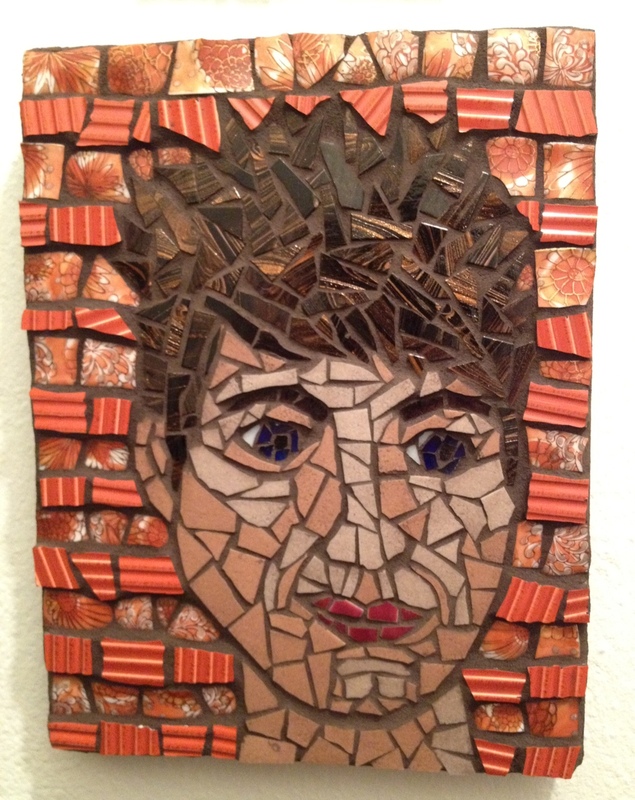 The next piece is the first of my self portraits, grouted finally! Here’s an update on “Crazy Quilt”. Fun! (Even if I did take the picture upside down! 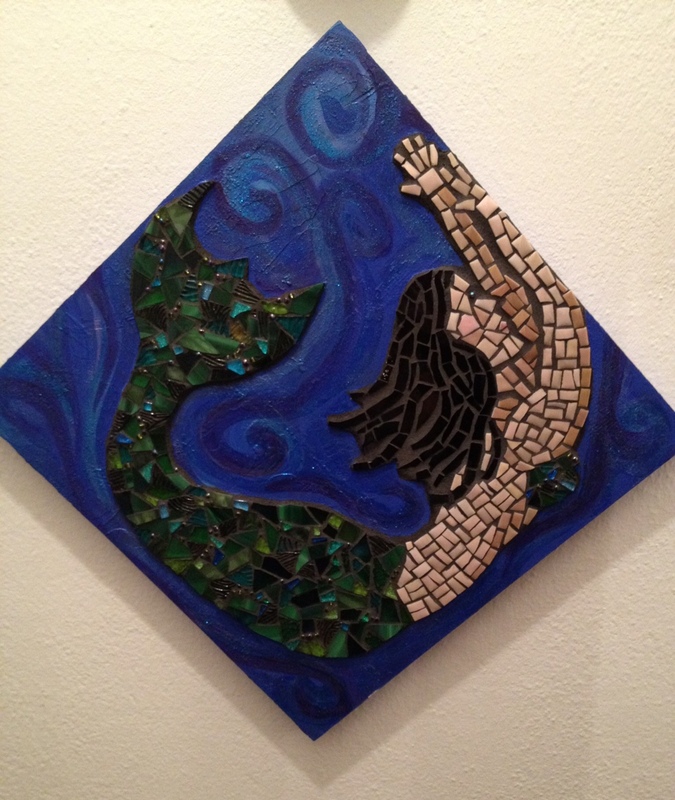 Last but not least a good shot of my mermaid, with grout this time. I’m going to be putting a bunch of my art up for sale soon. Let me know if you are interested in any of it!